Like you want to learn Shutdown Android Phone without Power Button? we got you covered in this post today and you will enjoy it! Android phone has taken form already. So, much have been said about it and you should always expect more. Android offer a direct means to shutdown your device. Most times, you only need to press the power button for few seconds to shutdown your device. While in most cases, all you need to do is press the power button and hold it for power off or restart option to populate and then click on power off button. Amazingly, there is a way to shutdown Android phone without power button automatically. The techniques helps you to turn of your Android phone remotely at a specific time frame and as well power it on according to schedule. If you are Whatsapp fan, you should know by now that you can schedule whatsapp messages to be sent at a specific time. The option to power down Android phone without power button is not a random feature on Android. Almost all Android phone has this feature but little did you know that you are missing out something if you are not using it. 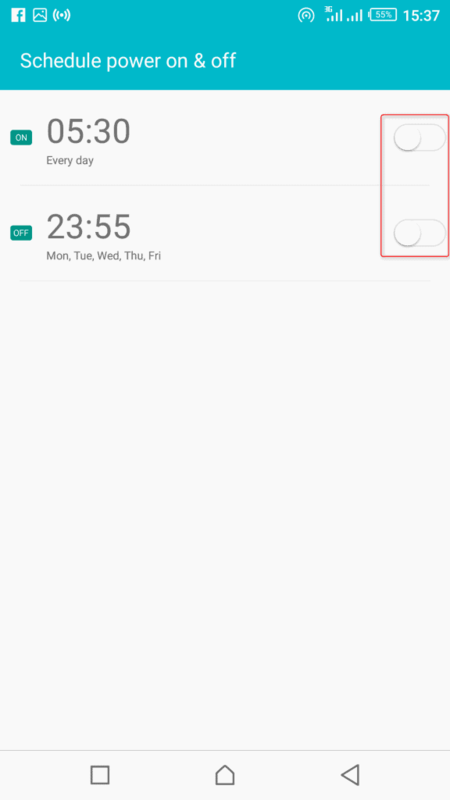 To turn off my Android phone remotely at a specific time I used the feature of my smartphone without third party app. Although, there are number of third party power off app for Android phone to help power off your Android phone remotely. But to free your device from junks and prevent your device from slow down while using you should be mindful of the number of apps you have on your device most especially if your device runs on 1GB RAM. If you want need a phone that support multiple app usage without slow down that can perform multitask consider using Infinix Note 3 if you can’t afford smartphone like Samsung, iPhone, HTC, etc. Are you ready to learn how to shutdown Android phone without power button? It’s not a trick you know! But the feature is hardly used in Android phone by most users. And here today, you will learn how to shutdown Android phone without power button at a specific time and power on itself at a specific time automatically. Note: This procedure is tested and confirmed on Infinix Note 3, Infini Hote Note, and Innjoo Max 2. 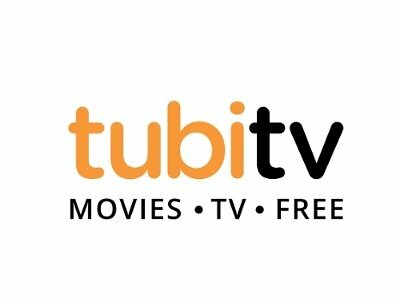 It’s our believe that it will follow suits the same procedure on your device. If you have experience misappropriate of direction it’s probably based on how your hardware was coupled by the manufacturer. 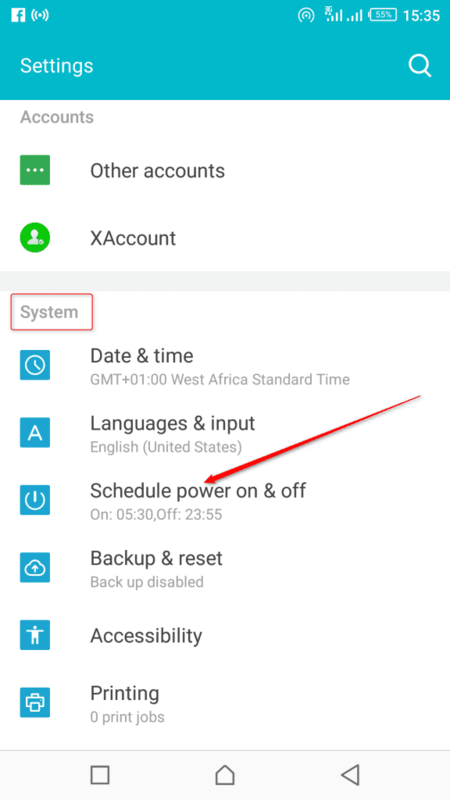 Swipe down your Android phone settings and scroll down the page until you gets to schedule power on & off in your Android phone system section. You will see two options on the new page. One for ‘ON’ and the other for ‘OFF’. Then toggle the icon and set your device time to when to power ‘ON and click on done. Also, navigate back and click on ‘OFF’ and set your device time to when to power ‘OFF’ and click on done. This feature can be used to shutdown Android phone without power button at a specific time and power your device ON remotely at a schedule time as well. Is there any other way or ways you know I can use to power of my phone without the power button different from this techniques and without using third party apps? Please share it with us in this post comment section.